The joy of pet ownership! Even pets with flea collars, or those that are regularly treated with a preventative, may get fleas. Fleas multiply and spread quickly. After each blood meal the female lays between 4 to 8 eggs and within her lifetime between 400 to 800. 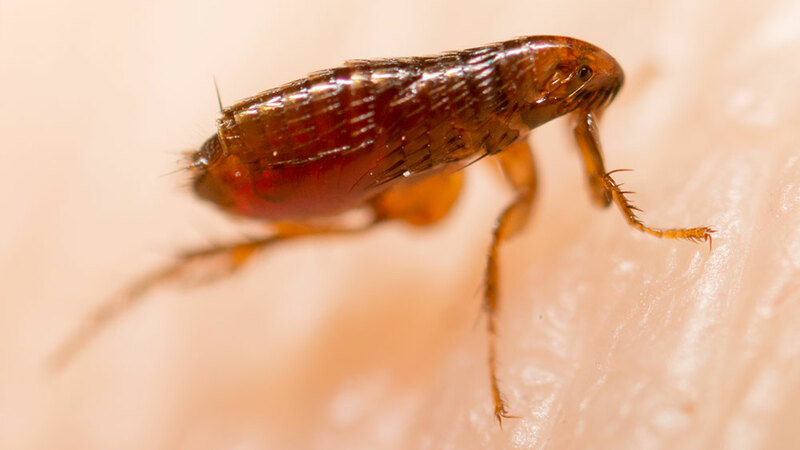 Fleas eggs on your pet may fall off as your pet moves around the house. When discovered many pet owners start out by treating the problem themselves and end up spending more money than if they called a professional in the first place. (Helpful hint: don't use insect foggers, i.e. "bombs", to treat. It'll make the problem much worst by driving fleas under furniture and into the cracks and crevices around the house.) So, save your time and money by contacting Guardian Pest Control today.